 The Physics Teacher Education Coalition gave Buffalo State the 5+ Club Award for the number of highly qualified physics teachers who graduated from Buffalo State in academic years 2011–2012 (ten teachers) and 2012–2013 (eight teachers). Malcolm Beasley, president of the American Physical Society, and Steven Iona, president of the American Association of Physics Teachers, wrote to commend Buffalo State on this accomplishment. Fewer than 20 institutions in the United States graduate five or more highly qualified physics teachers in most years. In 2013, the National Task Force on Teacher Education in Physics reported that the need for qualified physics teachers is greater now than at any time in history. Of the approximately 1,400 new teachers who are hired to teach physics each year, less than half have a degree in physics or physics education. "We are pleased to have this acknowledgement from the Physics Teacher Education Coalition," said Dan MacIsaac, associate professor of physics at Buffalo State. 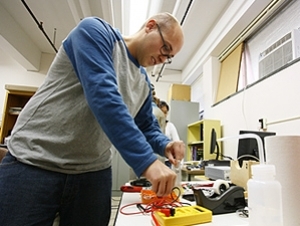 MacIsaac is coordinator of Buffalo State’s two physics graduate education programs. He also serves as co-principal investigator on a $9.8 million grant from the National Science Foundation that aims to change how science is taught in Buffalo Public Schools. "We are very proud of our alumni, whose achievements are a testimony to the quality of our program." The Physics Teacher Education Coalition concurs. In bestowing Buffalo State’s award, Beasley and Iona wrote, “We congratulate Buffalo State for its excellence in physics teacher education, and for serving as a national model for STEM teacher preparation." The physics education programs at Buffalo State are soliciting applicants. MacIsaac noted that the college participates in a $750,000, NSF-funded Noyce Scholars Partnership for new STEM teachers. "Qualified students can receive up to $25,000 of financial support," said MacIsaac. "And, despite the upheavals in the teaching profession, there is still a nationwide shortage of STEM teachers, including here in Western New York."